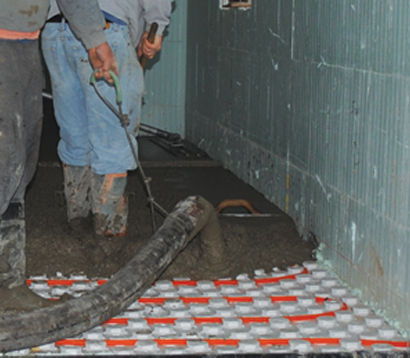 HYDROFOAM® maximizes radiant heat insulation for residential projects by ensuring the heat is dispersed evenly throughout the entire floor area, providing home owners with a more comfortable living and working environment. NUDURA has brought innovation to the market with their line of Insulated Concrete Forms and that innovation continues with HYDROFOAM®. Installation is fast and easy compared to traditional radiant heat insulation which requires multiple steps to run radiant heat piping. The 4’ x 4’ (1.2 m x 1.2 m) boards are 2 1/2“ (64 mm) or 4" (100 mm) thick and easily installed with an overlapping interlock on all four sides, ensuring the boards are locked in place during installation. 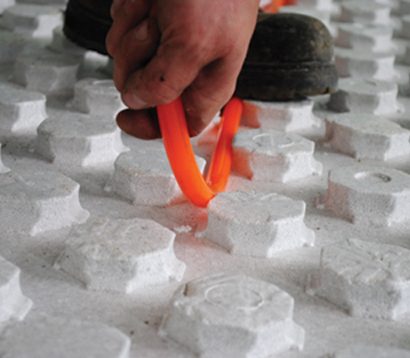 HYDROFOAM® utilizes a 360° multi-directional friction fit anchor system for pipe placement that eliminates the need for wire mesh. Radiant heat piping is easily stepped into place in any direction required. 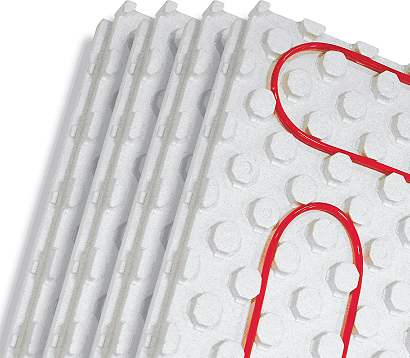 HYDROFOAM® offers a lightweight high density expanded polystyrene (EPS) radiant heat insulation product that increases installation speeds, is easily cut to meet any angle or radius while providing up to R-16 of insulation value. Both thicknesses qualify as a vapor and radon barrier with no additional taping of seams or poly required.